No, I am not co-dependent, or indecisive. Sometimes I think the camera shows me more than I can see right in front of me. 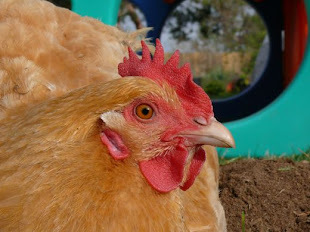 So, I am just going to contemplate my options for Scratch and Peck, here on the Chcickenblog Chickenblog. Mister Fu suggest more dots and spots, and less worries. I'm with Mr. Fu on the less worries part. No matter what you do, your work will be gorgeous! I am glad for your company... Mister Fu, though, is handful!